Vendor’s original seed source: Darell Jones, owner of CV Selected Plants. 2013. 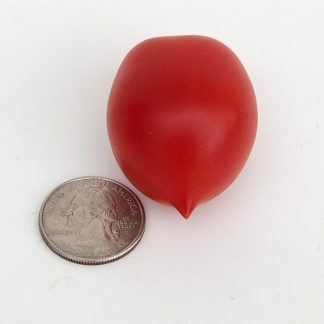 “Piennolo del Vesuvio” is a small, pear shaped, deep red tomato. 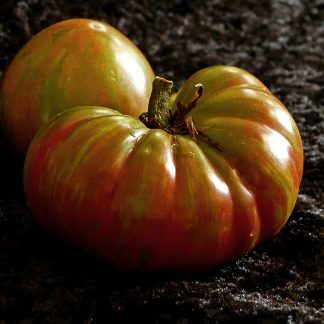 There is a distinct vertical grove on both sides of the tomato (not shown in photo) A very unique tomato, it has extremely long keeping qualities and the flavor is very sweet if allowed to fully ripen. 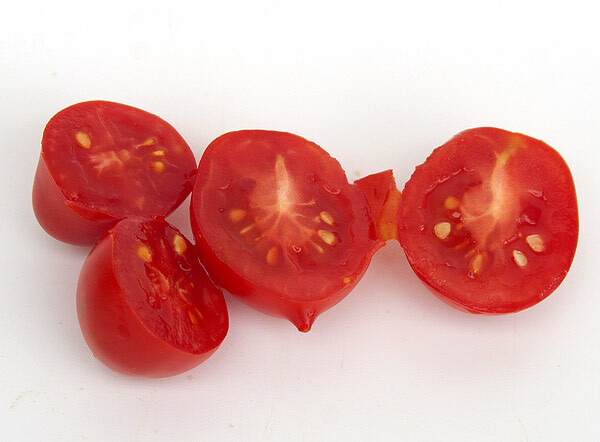 Piennolo del Vesuvio is grown and sold in Campania, Italy as fresh or as an “al piennolo” type. To preserve off the vine for several months, remove the entire clusters when 70% of the fruit are ripe and hang in a cool, well ventilated location. 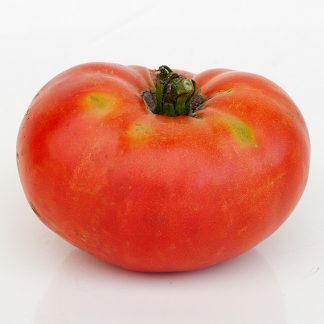 Piennolo del Vesuvio is very popular with chefs and makes an excellent market tomato. To minimize seed crosses, this variety was grown in a greenhouse isolated from insect pollenizers. This will be back in stock late October or early November of 2019.